View cart “Shape” has been added to your cart. 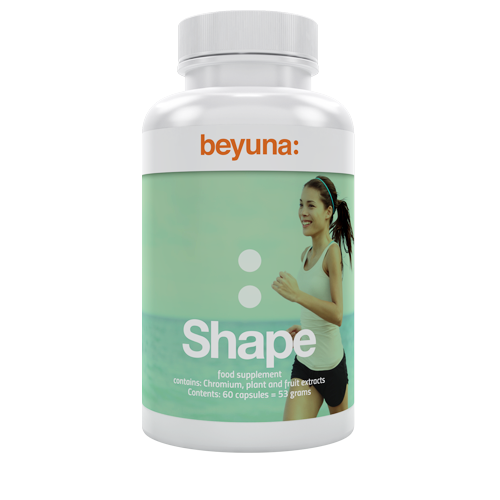 Beyuna Shape consists of the Ayurvedic herb Gymnema Sylvestre, raspberry ketones, and chromium. Beyuna Shape contributes to normal macronutrient metabolism. Beyuna Shape contributes to the maintenance of normal blood glucose levels. Gymnema Sylvestre helps in weight control programs by reducing appetite and calorie intake. The recommended daily allowance for an adult is 2 capsules per day. Contributes to the maintenance of normal blood glucose levels. Take 2 capsules per day with a glass of water 30 minutes before a meal. One capsule with breakfast and one capsule before dinner. Food supplements should not be used as a substitute for a varies and balanced diet and an healthy lifestyle. Keep container tightly closes in an cool and dark place (below 25°C).